The Audio Visual Room in the state-of-the-art Dr.O.P.Bhalla Central Library has a rich collection of CDs, LDs, VCDs, DVDs, audio/video tapes, and other aids used for teaching, self-learning or entertainment. Students are given a live multimedia experience based on the topics they study in the theory classroom and is used extensively for linguistic training as whatever is seen by eyes is retained by the brain more effectively than just reading or listening to it. The faculty, staff and students, are encouraged to use the resources in house. The AV room has been architecturally designed with optimal room for natural light and air and Open-flexi seating which can house up to 40 people at a time. IT aided classrooms facilitate students to perform as digital learners. The classrooms are architecturally designed with optimal room for natural light and air. 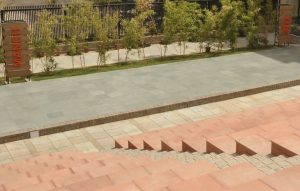 The classrooms are spacious and air-conditioned & most of them are amphitheatre style. They provide a vibrant backdrop to the academic achievements and offer a unique place to study, relax and develop. Classrooms have been designed to bring together analysis and achievement and are augmented with integrated audio-visual teaching aids for lectures, presentations etc. The latest technology with Interactive Boards and Projectors is extensively used in the classroom to benefit young learners. The modules are aligned with the curriculum in an interactive and engaging way. The classrooms are equipped with an array of hi-tech equipment which enables the competent teachers to conduct classes in such a manner that the students can make use of all the available resources at the click of a button. All the teachers are provided laptops/systems to keep abreast of the latest knowledge and technology. 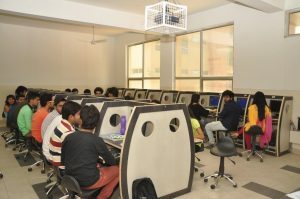 All these facilities enable the teachers to teach in a unique and innovative manner which makes the students feel involved in the teaching – learning process and improves the pace and quality of learning.